A Toober Guy is a Shy Guy in Yoshi's Island DS that wears a red, green, orange, or purple innertube in water and constantly looks from one side to another frantically, then moves. The only difference between it and a regular Shy Guy is that Toober Guys can be on water, which makes it nearly impossible to eat and stay on land at the same time. If Yoshi gets into the water, he can eat it easily. 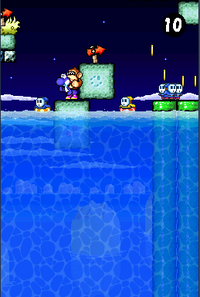 Some Pirate Guys wearing a swim ring similarly to Toober Guys appear mainly during the boss battle with Bessie Bass, where they appeared as obstacles or ammunition for Yoshi if he runs out of eggs. ↑ Black, Fletcher. Yoshi's Island DS PRIMA Official Game Guide. Pages 118, 119, 159. 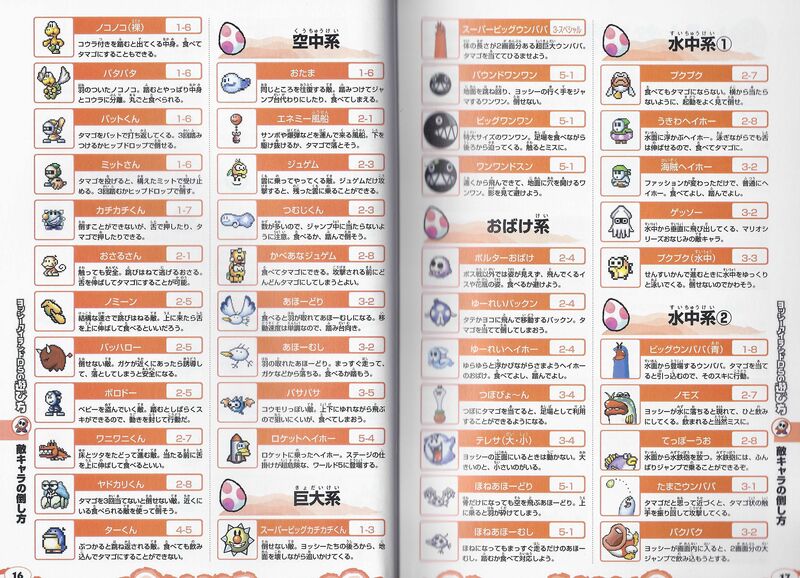 ↑ Yoshi's Island DS Nintendo Dream Book, page 17. This page was last edited on March 22, 2019, at 23:18.